Montréal is a city like no other in North America. For starters, it’s the second-largest primarily French-speaking city outside of Paris, with over 59% of the population able to speak both English and French. It beautifully merges old European culture and architecture with a more contemporary style and a very Canadian, laid-back mindset. Residents are so incredibly warm and welcoming — Very proud of their poutine and their maple syrup, their way of life and traditions. Everywhere we went, people would go out of their way to educate us about their city, make sure we tried their favorite treats and help us get around. While this is a city that’s very easy to navigate, it never hurts to plan ahead. That’s why we wanted to share some practical information on how to get around, where to stay and what to do and eat when you visit. Click here to read the magazine version of this guide! 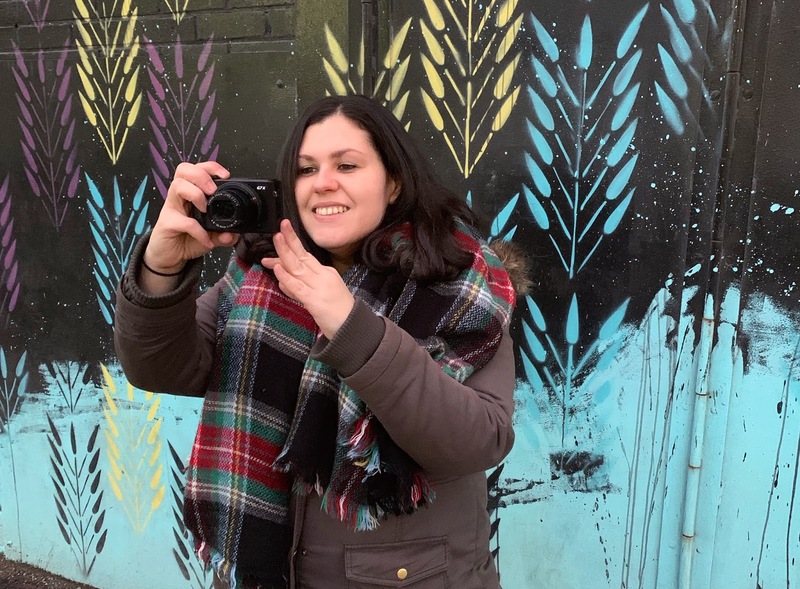 While summer is the preferred season to travel to Montréal, do not dismiss the opportunity to visit the city during the winter. You might have to wear some extra layers, but the city comes alive with beautiful Christmas markets, events and decorations. Regardless of what you decide, make sure to book your tickets in advance. Even if you live as close as Chicago, prices can be pretty steep. Make a realistic list of the attractions that you would like to visit. Research distance and give yourself enough time to rest and explore. It makes for a significantly less stressful trip. While you won’t have much trouble using your credit cards here, it’s always good to carry some cash to use at the markets and smaller shops. A few weeks before your trip, request Canadian currency in advance at your local bank, keeping in mind that not every branch has foreign currency at hand. This is a no-brainer, but it never hurts to repeat it. Notify your bank and credit card companies of your upcoming trip. That way you won’t have any problems when making a purchase abroad. Summers in Montréal are similar to Chicago. They can be temperamental, so it helps to take a light jacket just in case. If you’re going in winter, take all the layers! It gets COLD. Fashion goes a bit out the window. Take a heavy winter coat, heavy socks, thermals, and everything in between. It will make it so much more enjoyable to walk around. Getting your passport stamped won’t be a problem. The airport is 10 miles west of the center of Montréal. We loved how everything runs smoothly. Immigration was a breeze and in case of snow, they are incredibly prepared. Delays due to bad weather are not as common. Probably the best feature about this airport is that the departure areas are divided into domestic, transborder (US) and international. Passengers headed for the United States clear US Customs and Border Protection before boarding, avoiding long lines upon landing. 747 Bus Route: This was our option upon arrival. The bus to downtown works 24/7 and will get you there in about 45 minutes. There’s plenty of luggage space too, it stops near the major hotels and the last stop is at the central bus station. Tickets are $8 and the pass is valid for a day on the entire bus and metro network. Taxi: The fixed fare to downtown is $38, but metered rates apply to more distant locations. Limousine fares start at $50. Uber: It will cost you about $25 US to the center of town. Become our return flight was so early, this was the best option for us. Having access to your apps and Google Maps is incredibly useful when you’re exploring a new city. But of course, you’ll need WiFi. Depending on your phone carrier, you have a couple of options to stay connected in Montréal. T-Mobile & similar: Some carriers like T-Mobile offer unlimited talk, text, and data in North America. Call your carrier to see if your plan includes this service. Special International Rates: Some carriers offer special talk and data rates when traveling abroad. Give them a call to check your options. Pocket WiFi: You can rent a mobile device in advance or at the airport for about $9 a day. Companies like Pocket WiFi Montréal will even mail it to your home in advance and all you have to do is mail it back. Just book it online with your traveling information. STM Card: Purchase transportation cards at the airport or metro stations. These works on buses and the metro system, and you’ll have the option to select different passes depending on how many days you’re staying in town. A Weekend Pass, for instance, is only $13.75 and it stops working on Monday at 5:00 a.m. A 10-Day fare is $27 and a 1 Day pass is $8. The airport bus is covered with any day or weekend pass. Metro/Bus: Both the metro and buses are incredibly reliable in Montréal. Both are managed by the Société de transport de Montréal. A single ride on either of them will cost you $3.25, but you’ll be better off getting a day or multiple-day pass. Follow Google Maps to get to the appropriate station. Taxi: Taxi prices are pretty standard in comparison to other major cities in the US. There’s a base fee of about $3.45 and a kilometer price of $1.70. Uber: We found Uber to be the best option to get around when it was simply too cold or when we needed to make the most of our schedule. The cost of a 12-minute ride was about $7 US. Booking an Airbnb is often more affordable and will allow you to experience an area like a local. But you have to make sure to get proper instructions from your host on what to do upon arrival. Because our flight was arriving so late and we didn’t want any surprises, we decided to look for a hotel right in the center of town: Le Dauphin Centre-Ville. It was very neat and modern, provided free breakfast, had very helpful staff and was just a block away from the metro. Downtown: The obvious main advantage of staying downtown is that you are walking distance to Chinatown and Old Montreal or just a few metro stops away from hipster neighborhoods like Mile End and Latin Quarter. Most of the big-name hotels are also downtown. You’ll be close to shopping, modern restaurants, and bars. Le Plateau- Mont Royal: Although we didn’t stay here, we fell in love with this borough. Next time we visit, we’ll probably get an Airbnb here. It’s artsy but unpretentious. It has lots of unique restaurants with both traditional Quebecois, fusion or modern cuisines. And it’s super lively, colorful and has a ton of fun bars and shops. Mile End: Within Le Plateau, you’ll find this artsy, laid-back and very multicultural neighborhood. It’s known for its old-school bagel shops and delis, indie shops and vintage shops. Also, a great area for microbrews and live music venues. Old Montreal: Get a taste of old Europe and enjoy the incredibly well-preserved century-old buildings. Walk to the famous Notre-Dame Basilica and enjoy traditional Quebecois cuisine at one of the many restaurants. Hotels and Airbnbs here might be on the pricier, but you’ll be close to many attractions. It’s also very lively and has an incredible nightlife. Latin Quarter: If you’re looking for a fun collegy vibe, look no further than the Latin Quarter. It’s next to the campus of Université du Québec à Montréal. There are also lots of fun bars, live music venues, and during the summer, plenty of events and festivals. Montréal is a fantastic food city, not only because of its French roots but because of its diversity. You can either choose to indulge yourself with high-end cuisine or beloved local recipes that are incredibly affordable. For this trip, we decided to focus on the city’s favorites. Poutine: Eat it everywhere! Even at Burger King! Who doesn’t like fries with gravy and cheese curds?! We made sure to try it at a few locations so we could compare styles and flavor combinations. You know, research. Pudding Chômeur: Created by female factory workers during the Great Depression, this is a very simple butter cake baked with a ton of cream and maple syrup. Do we need to say more? As it bakes, the cake rises and the gooey syrup stays at the bottom. Maple Syrup: Try it by itself or in dishes infused with the syrup, such as pain doré (French Toast) and smoked ham or sausages. You can even try it as a maple taffy lollipop, also called tire d'érable. Hot maple syrup in poured in snow and rolled with a lollipop stick. Find it at the markets or winter festival stalls. Tourtière: Usually made with ground pork or beef and potatoes, this is a classic Quebec style meat pie. There’s a touch of cinnamon and clove, which makes it even more comforting. Some locals eat it with ketchup. Fèves Au Lard: Ask for a side of these beans! They are simple, yet spectacular. Cooked in lard and deliciously savory. Wilensky’s Special: The famous grilled bologna sandwich is what childhood dreams are made of. Always add mustard and a side of pickles. 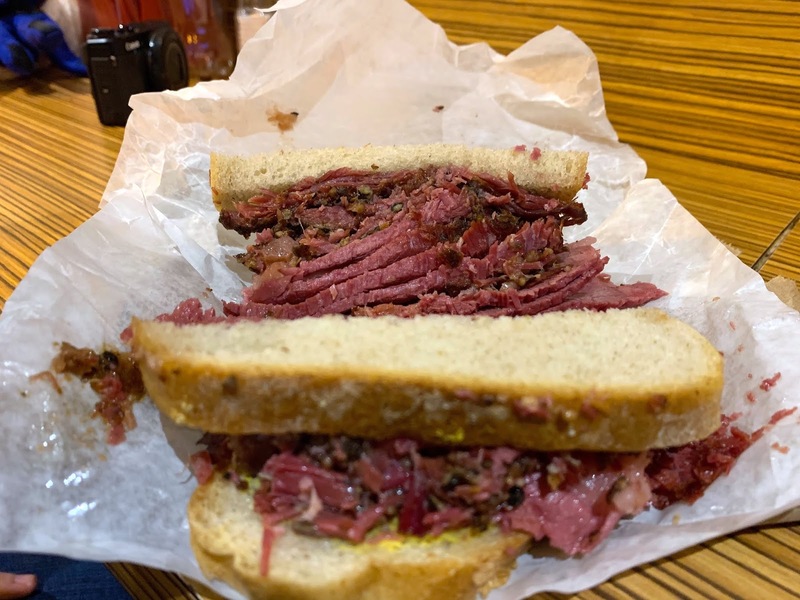 Smoked Meat Sandwich: This is no pastrami sandwich. Montreal style smoked meat is its own style of deli smoked brisket. It’s cured with more peppercorns, coriander, garlic, mustard seeds, and a lot less sugar. Pâté chinois: Think shepherd’s pie. This dish is made with layers of mashed potatoes, corn, and ground beef as the basic ingredients. While this is not a Chinese recipe, it is said to have been introduced to Canadian railway workers by Chinese cooks during the building of the North American railroads in the late 19th century. They prepared it under the instruction of their English superiors as a cheaper version of the English cottage pie. Bagels: In contrast with New York bagels, Montréal bagels are boiled in honey water and cooked in a wood-fired oven. They are slightly sweeter and crispier, and every shop has their own take. Pain au Chocolat: Originally from France, you can find killer pain au chocolat in Montréal. So treat yourself to this delicious chocolate filled croissant. Crepes: Also originally from France, you can find so many great crepe shops in Montréal. Try the classic chocolate and fruit-filled crepes and leave room for a savory one. Beaver Tails (Queues de Castor): When in Montréal, don’t forget to try this comforting fried donut in the shape of a beaver tail. The classic one is just lightly dusted with cinnamon sugar, but you can add all sorts of toppings like chocolate, fruit or candy. Portuguese Chicken (& Pasteis de Nata): Montréal has a large Portuguese community infusing the city with their beautiful culture and flavors. One of the most beloved dishes is their roasted chicken and you’ll see lots of great chicken shops everywhere. When you pick-up your chicken, don’t forget to get pasteis de nata or sweet custard tarts for dessert as well. Foie gras: While this is not our thing, it could be yours. You’ll find lots of local restaurants serving this delicacy or adding it to their poutine. Among them, Au Pied de Cochon is one of the most popular ones. La Binerie Mont Royal: If you want to check off several must eats from your Montréal list in a single sitting, plan your lunch here. Not only are the owners incredibly friendly, but you will get a proper introduction to Quebecois cuisine. Get their Quebec plate! Among other things, it includes Tourtière and Fèves Au Lard and for dessert, pudding chômeur. Prices are not bad considering the amount of food. A meal with 7 items, including soup and dessert will cost you around $19. La Banquise: Locals swear by their poutine. However, be prepared to make a LONG line. We tried going twice and were not successful. Good luck! If you run the same luck, we tried the poutine at Frite Alors down the street and it was very decent. A regular size classic poutine will cost you $7.75 and $12.50 for the large one. 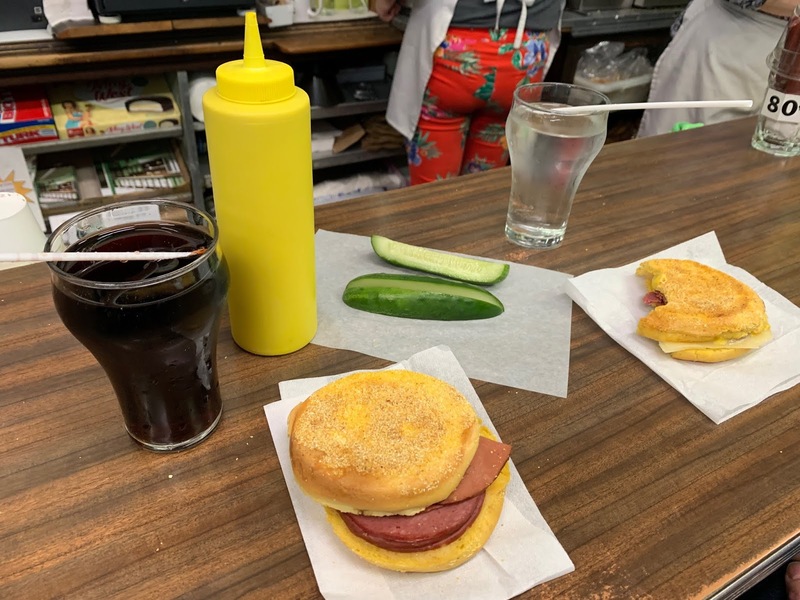 Wilensky’s: Just like we mentioned before, this old-school corner store makes the most delightful bologna sandwiches, fountain drinks, and sodas. But of course, there are rules… You can’t omit the mustard and your sandwich won’t be sliced in half. That’s how it’s been since they opened in 1932. Sandwiches are about $4. Schwartz’s Deli: You will have to make a line for this too. Luckily for us, we went late on a weekday so it wasn’t too bad. Their sandwiches are truly what they say and more: juicy meat that barely fits between your bread. But it’s not a cheap meal. That’s for sure. Sandwiches are around $10. St-Viateur & Fairmont Bagel Shops: Both of these shops are just blocks from each other so you can easily visit them in a single morning. 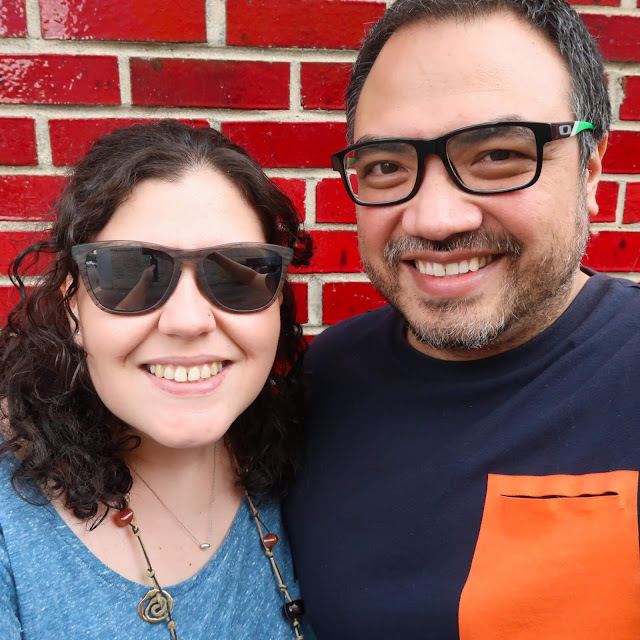 But to be completely honest, we preferred Fairmount bagels, mainly because they were fresh out of the oven and still warm. There were also more flavor options. Let us know your opinion once you go. Jean Talon: This is probably the most popular farmer’s market in the city. It’s a great place to buy affordable souvenirs and try the local food. It’s located in the Little Italy neighborhood and the merchants are incredibly friendly. There’s also a bit of a multicultural vibe with stalls showcasing treats from different parts of the world. Atwater Market: A little closer to downtown, you’ll also find the Atwater Market. Its Art Deco-style architecture places it among the most beautiful buildings in the city —another great place to hunt for gastronomic treasures. Bonsecours Market: Located in Old Montréal, it was the main market in the city for over 100 years. Now it’s home to 15 boutique featuring quality local crafts, clothing, jewelry, and design items. During warm weather, you can also enjoy its restaurants and open terraces. In Montréal, tipping is expected. Leave a minimum of 15% of the total bill and a maximum of 20%. This is probably the number one reason people visit Montréal. Enjoy old European charm and cobblestone streets, making sure to stop by Place Jacques Cartier, Rue St. Paul, and the Vieux Port. Restaurants around here are a bit pricey, but we recommend enjoying un café and pain du chocolat at Le Petit Dep, an independent convenience store and coffee shop on Rue St. Paul. Facing the Place d’Armes square, you’ll find the Notre-Dame Basilica. Its design is breathtaking with stained glass windows, an iconic blue backdrop, beautiful columns and arches, and very unique gold details. If you’re looking for an affordable lunch or quick bite, Chinatown is a great option. Take a picture of the traditional gates, relax at Place Sun-Yat-Sen and do a little shopping. Definitively grab a few cartoon-shaped steamed buns at Patisserie Bao Bao Dim Sum. Colorful street art, architecture that nods to the old and the new, and lots of joie de vivre. Le Plateau is truly a lively, creative borough. We fell in love. 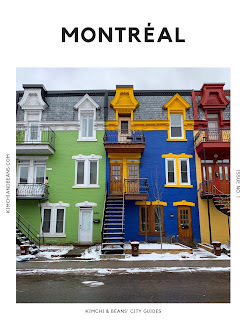 At the very least, walk along Avenue du Mont-Royal for old-fashioned five-and-dime stores or enjoy one of the trendy cafes. Then, explore Boulevard St-Laurent for trendy stores. During the summer, don’t miss Parc La Fontaine. This neighborhood might be just 10 blocks, but it packs a punch. It’s incredibly diverse and it shows in the local cafes, restaurants, galleries, shops, and bars. If you are a foodie, you might want to book a food tour in this area or you can catch a comedy act or music show. Definitively try the bagel shops and go to Wilensky’s. Enjoy the best views of the city! It’s a great place to hike or do outdoor sports. In the Winter, you can do some ice skating, snow tubing or cross-country skiing. Be on the lookout for the local festivals. Montréal is known for having lots of events year-round, from fun music festivals in the summer to winter markets in the Winter. If you're planning a trip to Montréal, leave us your questions or comments below and we'll do our best to answer. We hope you enjoy this city guide and thank you so much for your support. Safe travels!